I love the work and craft of writing. You can find downloadable versions of some of my papers by searching The Open University’s online repository of research materials at http://oro.open.ac.uk/. Rose, G., Degen, M. & Melhuish, C., 2015. Dimming the scintillating glow of unwork: looking at digital visualisations of urban redevelopment projects. In S. Jordan & C. Lindner, eds. Cities Interrupted: Visual Culture, Globalisation and Urban Space. London: Bloomsbury. Degen, M., Melhuish, C. & Rose, G., Producing place atmospheres digitally: architecture, digital visualisation practices and the experience economy. Journal of Consumer Culture, forthcoming. Rose, G., Degen, M. & Melhuish, C., 2014. Networks, interfaces, and computer-generated images: learning from digital visualisations of urban redevelopment projects. Environment and Planning D: Society and Space, 32(3), pp.386–403. Rose, G., 2014. On the relation between “visual research methods” and contemporary visual culture. The Sociological Review, 62(1), pp.24–46. Rose, G., 2012. The question of method: practice, reflexivity and critique in visual culture studies. In I. Heywood & B. Sandywell, eds. The Handbook of Visual Culture. Oxford: Berg, pp. 542–558. 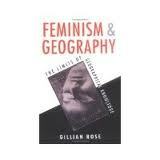 As for my books, Feminism and Geography was published in 1993 by Polity Press. Doing Family Photography was published by Ashgate in 2010. 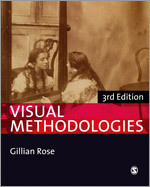 The first edition of Visual Methodologies was published by Sage in 2001; the third edition hit the bookshelves in December 2011, in full colour and with a companion website. Hello Gillian, very happy to have discovered your blog. I’m a very slow reader (just need a lot of time to understand and process thoughts etc. ), so it will take some time to explore your posts. I have just clicked on ‘Doing Family Photography’ and found that the link is not working. Kind regards, Rosa.